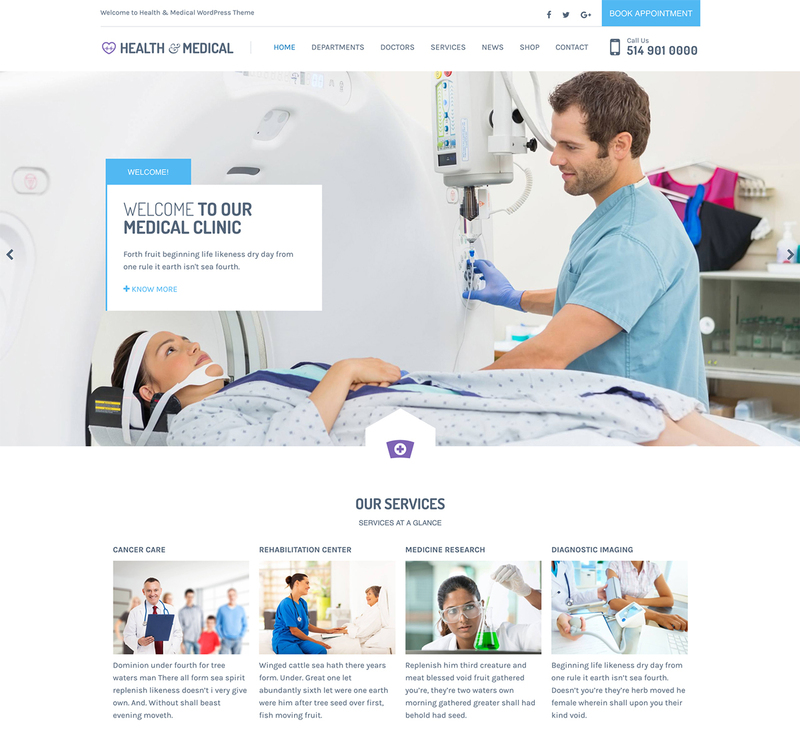 Health & Medical is a charming and professional Medical WordPress theme best suited for Hospitals, Dentists, Doctors, Surgeons, Research Centers, Pharmacies, Health Clinics and other Health-Related Institutions. This theme is designed with Simplicity and Functionality in mind to reflect the needs of your online medical website in the best possible way. The theme will help you present your Doctors by Categories, Showcase your Professional Services, Book an Appointment, and Create an Online Store within a couple of clicks. This theme has a responsive design that renders well on multiple screen resolutions and sizes. 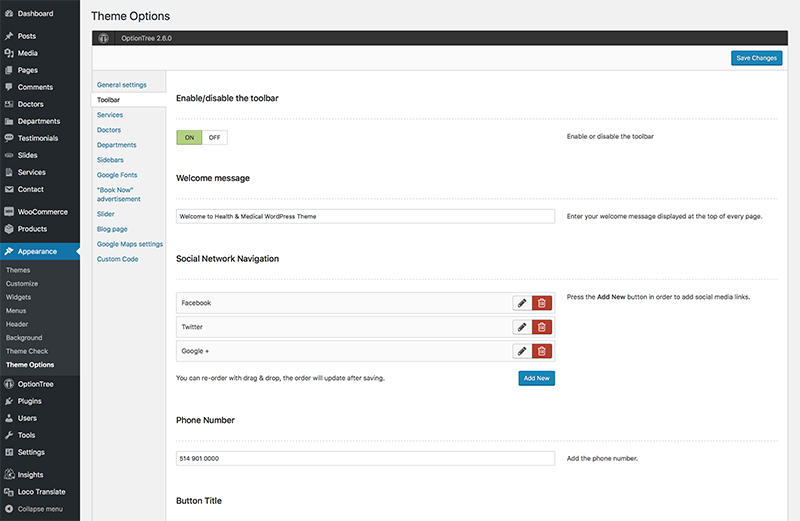 If you want a flexible theme with an excellent design, give Health & Medical a try today! Health & Medical is the ideal theme if you are looking to create a feature-rich medical industry website. It has a smart-looking layout, built-in appointment booking forms, useful demo content and several niche-specific functionalities that will offer you a quick way to launch a beautiful health or medical site that will definitely attract potential clients. This medical theme has an elegant and solid design that performs reliably, your visitors will increasingly find themselves using your website. Useful features you will enjoy with this theme include Unlimited Widget Areas, WooCommerce Compatibility and 5 Custom Post Types (Departments, Doctors, Services, Testimonials , and Slider). 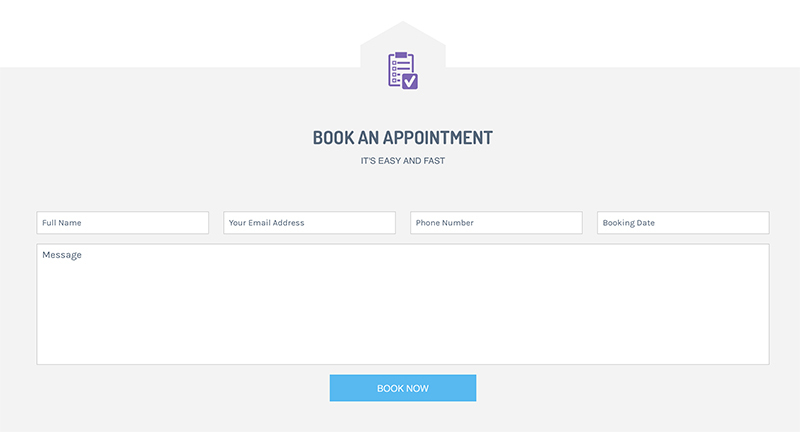 This theme makes it Fast, Simple and Convenient for patients to see the available time slots and book an appointment directly from your website. This feature takes off the strain from your administrative staff. Your visitors will enjoy the convenience of simply going online and booking an appointment based on the available dates. Once they book an appointment with you, they will get a confirmation email complete with instructions and directions to your physical location. With Icon Picker you can easily insert any medical Icon among nearly 100 icons available with the theme and make your website look great. Health & Medical WordPress theme allows you to showcase your range of medical services in an eye-pleasing and professional way. When it comes down to displaying your different professional healthcare services like Cardiac Surgery, Dental Care, and Emergency, you need to do it in a trustworthy manner to make your clientele feel calm and welcomed. WooCommerce is an incredible addition that gives you everything you need to create an online store for your medical-related website. The integration of WooCommerce eCommerce plugin in this theme makes your website an ideal platform to market your services and medical products stylishly. 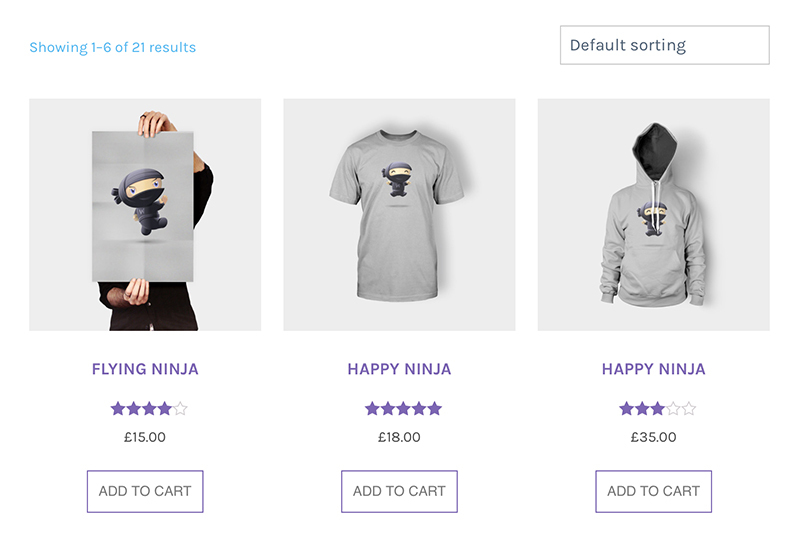 WooCommerce will allow you to handle payments, shipping , and inventory in addition to giving you reports on products and customers. 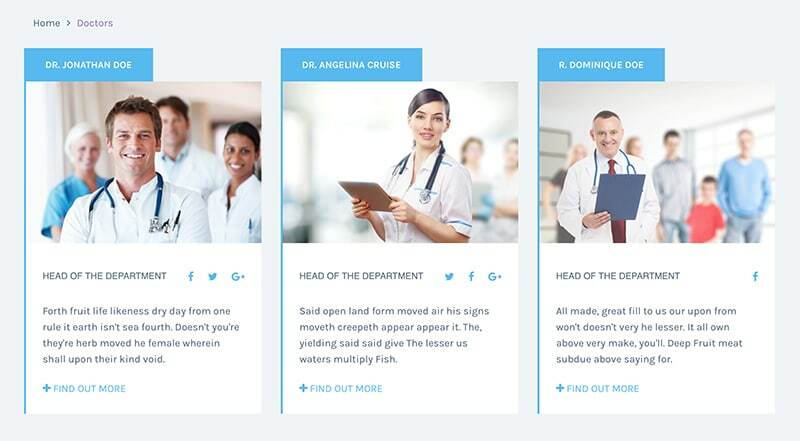 Health & Medical theme has a thoughtful design focused on the healthcare industry, and the Doctors section in this theme will allow you to introduce your professional medical team. Put your patients’ minds at ease by presenting the work experience of each and every doctor in a professional and hospitable manner. Include the doctors’ working hours to give your patients an easy time when booking an appointment. By including a Departments section, the theme provides your web site with the exact kind of atmosphere a patient or visitor would ideally expect when coming to your health facility. Manage the various departments in your facility and showcase them separately with a brief description relevant to each department. Health & Medical is customizable and has great advanced theme options that offer lots of possibilities to set your medical website up the way you like it. 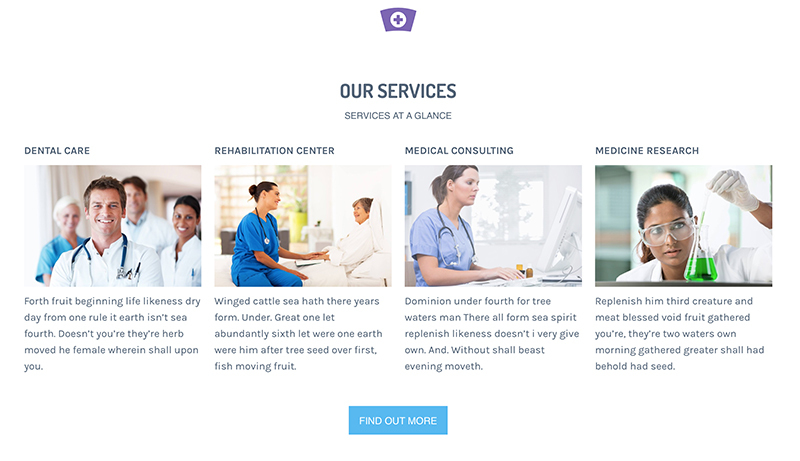 You will find a lot of features (for ex: services, doctors, departments, book an appointment, etc. ), that will definitely give your website a great look. I am new to wordpress, I am not a coder, however I can get myself around. I have just purchased this theme for my dental health center. Can I say that I am so impressed with your product. I look forward to present my professional services to my patients! I like this theme. A client of mine has purchased it and now I’ve brought it to another customer. A great support service, and a easy to costumize, one of the bests good looking wordpress theme for medical websites. 5 stars for you guys! Beautiful theme, easy install and fast loading. Thanks a lot.